Very soon, The Muppets will be re-introduced on TV, thanks to a new sitcom that follows them at work and behind the scenes. So let’s take a look at a few Muppet movies made for cinemas to date and their journey through time. These beloved characters have been through a lot and faced many setbacks and we feel invested as we have taken that journey with them which is a significant part of their continued appeal. Jim Henson introduced Kermit and Fozzie to us, not as entertainers or theatrical entrepreneurs, but journalists in this movie. In fact, they’re revealed to be twin brothers in one of the funniest visual gags ever. In this movie, the Muppets essentially took a part of Pink Panther and re-calibrated it to match their tempo and created a masterpiece. It’s a particularly astonishing production with Kermit going full dance mode, Piggy engaging in some wonderful synchronised swimming, and Muppets travel by hot-air balloon, motorbike and even a whole fleet of bicycles. The opening credits itself burn through a whole Simpsons episode’s worth of self-aware observations, and it worked as an efficient bridge from a new spin on the ending moments of The Muppets into the basic premise of Muppets Most Wanted. It also introduced Constantine, The World’s Most Dangerous Frog who was almost a doppelganger for Kermit. Late in the film, there’s a song, Something So Right, in which Piggy struggles with her feelings about Kermit which best leverages the story for emotional impact and insight and as a result there’s a lot of depth in this movie, even if it isn’t consistently distributed throughout the film. The story is well told, with a tightly structured script. Gonzo and Rizzo play a double act of narrators. With a plethora of memorable moments like Kermit ice-skating that will surely astonish you, it is a very emotional film that will have you crying and laughing in equal measure. This was the first Muppet movie that was produced after the death of Jim Henson, and many people were relieved that they managed to see his legacy continue without insult and injury. It was a story of the Muppets dreaming of Hollywood and making their way across America towards the City of Angels. 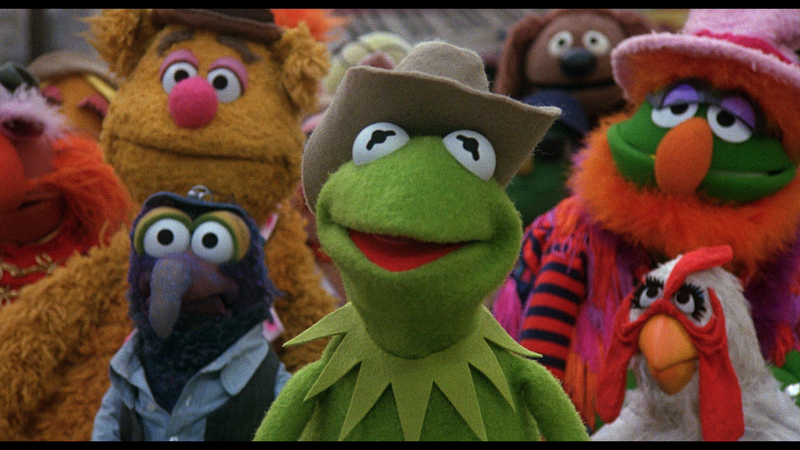 The Muppet Movie works perfectly because it shows us the Muppets suddenly on a bigger stage than ever before. Most of the main relationships of the characters are on show, and there are loads of jokes that turn on the Muppets themselves. The plot acknowledged the Muppets’ time out of the public eye and conceived that they’ve disbanded in the meantime. The protagonist this time is a new Muppet called Walter, but people could relate to him immediately. There are many significant ideas in this film about what the Muppets mean, and it instantly touches the heart. Jim Henson introduced the world to a beautiful bunch of characters that remind us of some essential truths about the human condition and perhaps The Muppets isn’t the most excellent film in the history of cinema, but its one that is cherished and loved deeply by its fans worldwide.